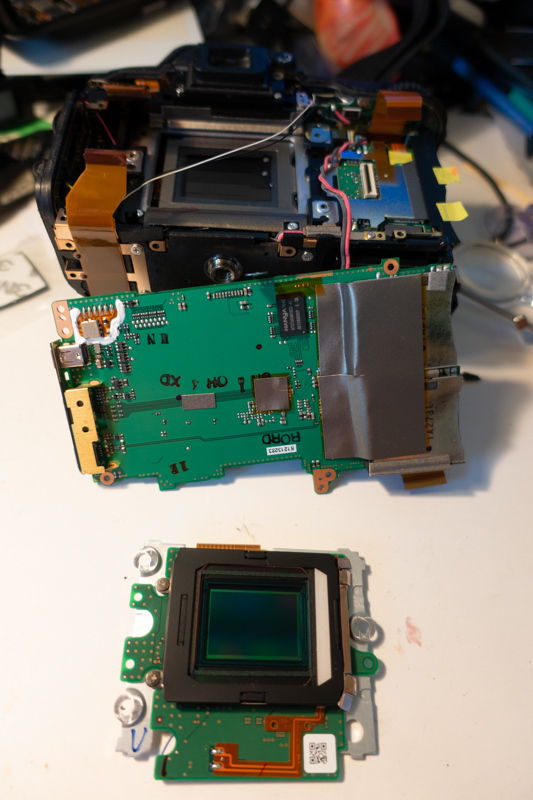 After a discussion with a colleague of the Vorarlberger Amateur Astronomen I plucked up the courage to take the camera apart and get rid of the IR blocking filter. 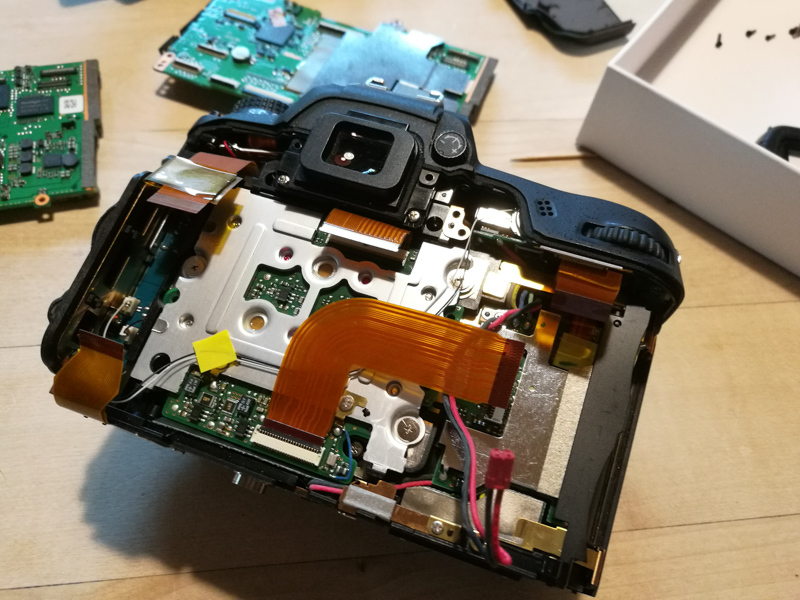 But as I have already fixed a few Sony RX100 cameras I started searching for a replacement board and found one on aliexpress. 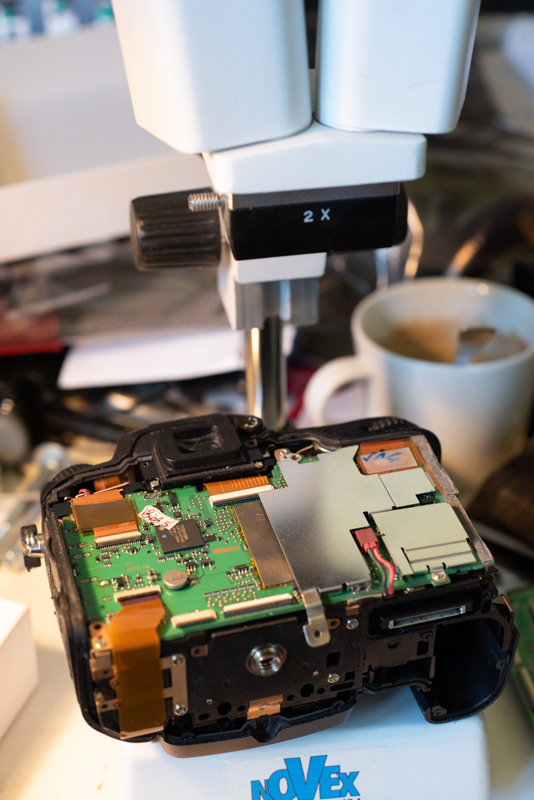 A few weeks later it arrived from china, and I started again to disassemble the camera, and switch in the new circuit board. 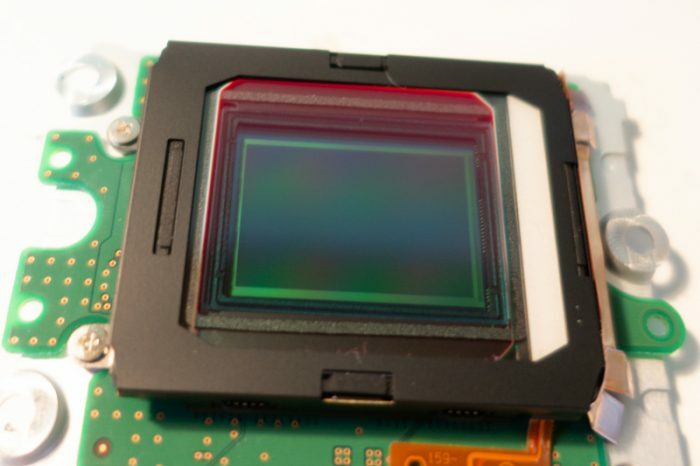 But when I turned the camera on, nothing happened, apparently the camera was still dead. I put it into the closet again, and startet thinking what might have gone wrong. 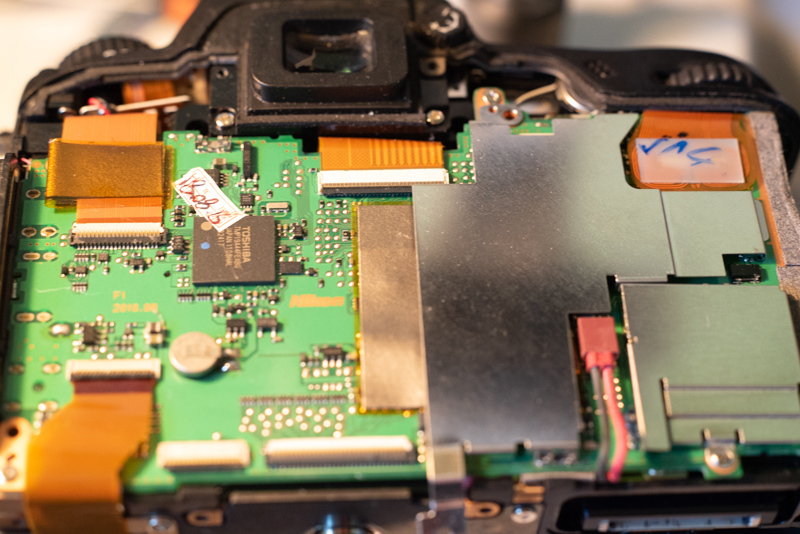 A few weeks later I found the time to dissasemble it again – I remembered from my first disassembly that the ribbon cable that snaps into place in the upper right of the pcb slid out of the connector on the wrong end of the cable, and I had trouble putting it back in again. 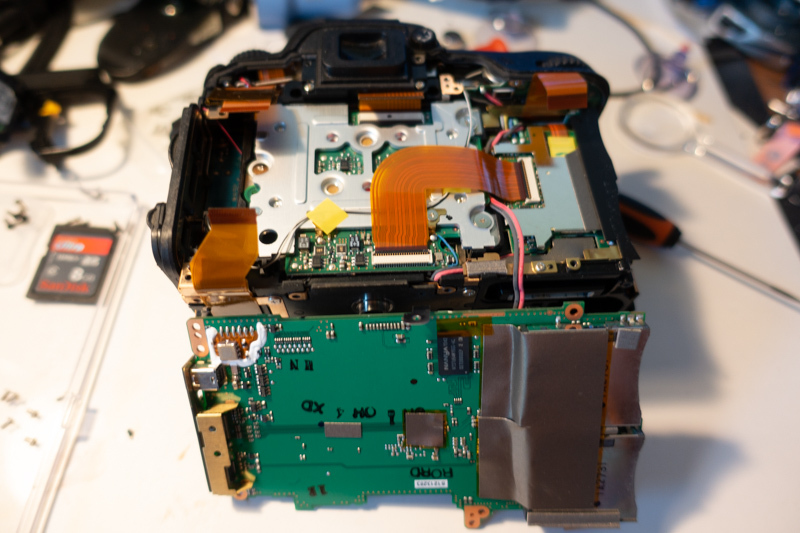 So I tried to put it in correcly this time, and re-assembled the camera. the ribbon cable below the thumbwheel is connected differently from all the others, it snaps into place. 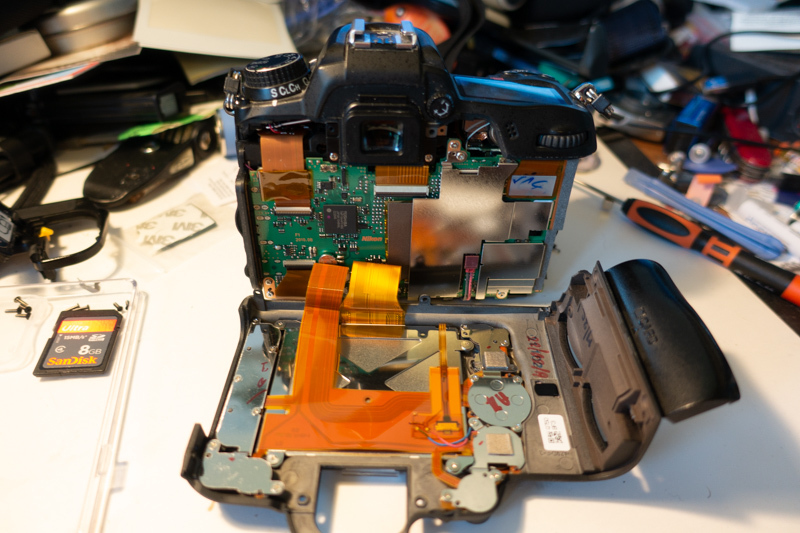 I didn’t know that when taking the camera apart, so accidentially I pulled the cable out of the connector on the other end of the cable. When I turned the camera back on again, it worked, at least the LCD lit up and the “clock” message appeared. But the display on the back stayed empty apart from the backlight. After pressing the ok button I was able to use the control knobs to set exposure and even take a few images, I could not change any menu settings or see the images I took or use the screen for live-view focusing. 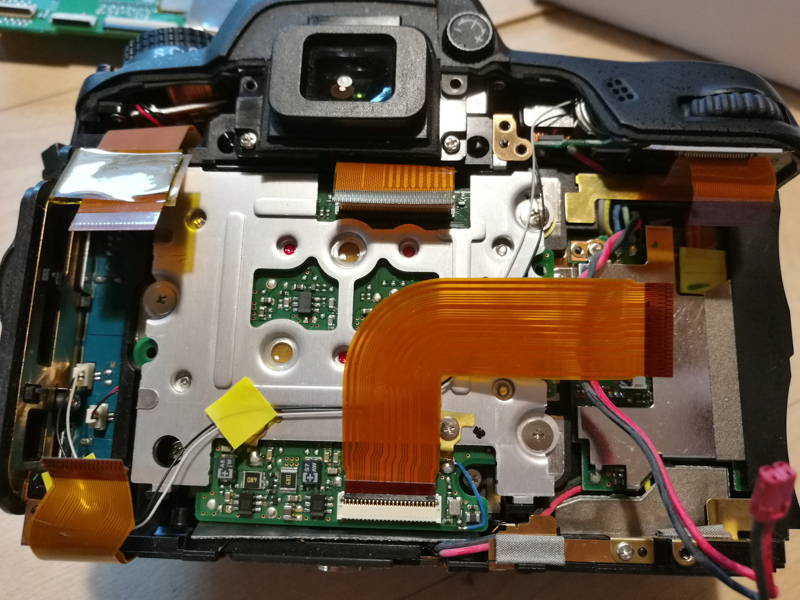 So I picked up the screwdriver again and removed the back of the camera, After close inspection I saw that one of the two ribbon cables connecting the back to the main pcb was not seated perfectly. Using a magnifying glass, balancing the back on my fingers while aligning the cable with the connector and closing it, I tried to put it in correctly. This time the display worked! As expected regular autofocus is not working properly any more, as I didn’t even try to calibrate the autofocus mechanism with the changed optical thickness due to the missing filter. 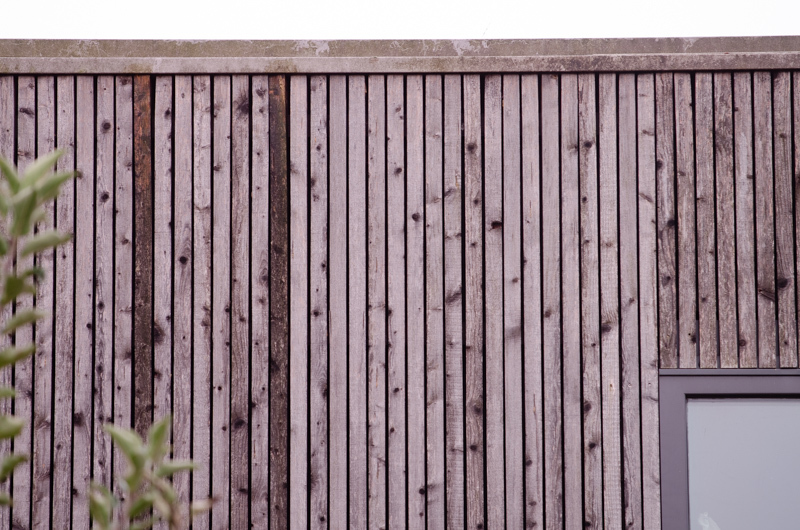 But live-view focus still works very well. This is good enough for astronomical applications, as focusing is done either using live-view on the back of the camera or on the laptop. 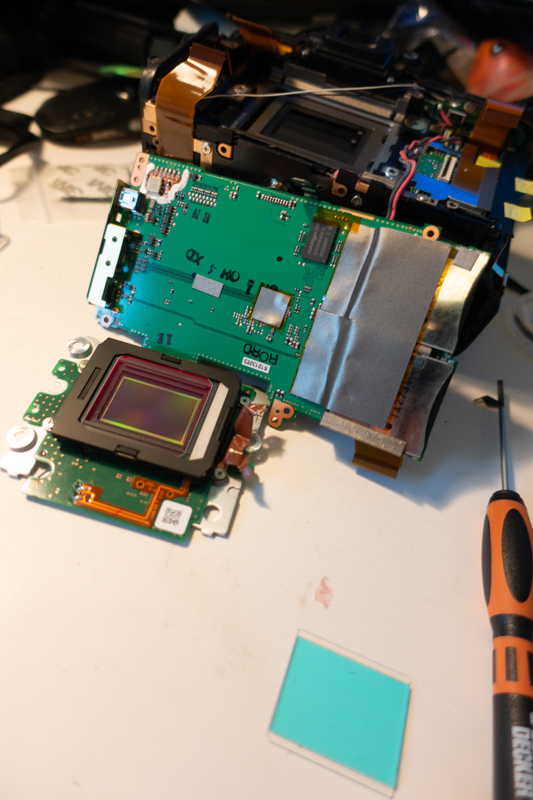 Of course the color balance is also not working properly any more, as the IR blocking filter removed a lot of red light, which is now reaching the sensor. 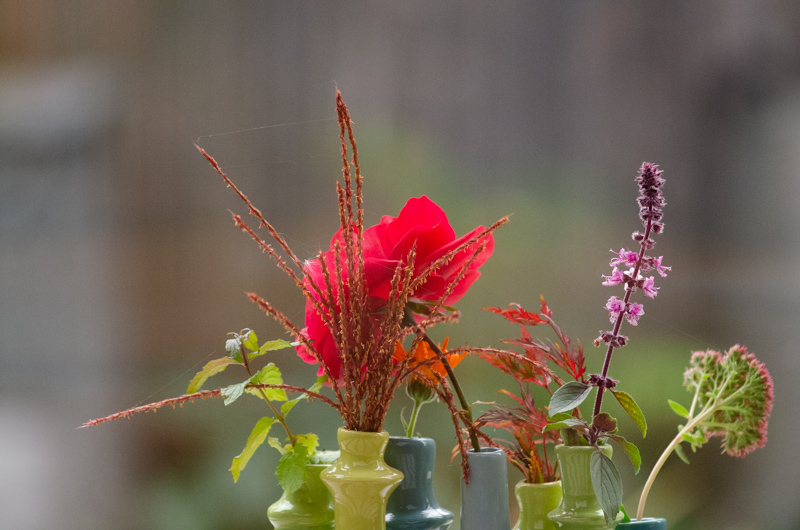 But with custom color balance or color balancing the RAW files later, this is not a problem at all. I will follow up on this article when I had the chance to use the camera under a dark sky.